The jewel of the Village has always been what we called phase II. Pristine, forested, rolling land, with the most dramatic views, cascading creeks and water falls. It’s all there, untouched and waiting for this moment and the right people to build a community of caring, sharing and prepared people. In 2006, when we got started, I expected to quickly sell out on Phase I, then move to the best part. Then the sub-prime mortgage crisis hit in 2007, followed by a total economic melt-down, led by Real Estate in 2008. It’s been slow going, but our unique approach to community building creates value that goes far beyond the land. So, we survived in slow growth mode. Slow is good when you are striving to build a community with solid roots. Sort of like nurturing a Japanese bonsai tree. Fast forward to 2012. The forests are 6 years older and the wildlife has cycled through several generations, but phase 2 is otherwise unchanged. Meanwhile, the cost of building paved roads and other infrastructure required by the government, has sky-rocketed to the point that traditional development of Phase II is not feasible. And, on Phase I, we have grown a community of self-sufficient folks. Our gardens are maturing, along with our gardening skills and our bees. We have weathered seasons of drought and plenty with our rainwater catchment systems; we have experimented with various types of low-cost alternative energy, from wood gasification to Lister Diesel generators, to simple wood stoves, solar ovens and micro-hydro-electric generators. We have built six lovely homes, some traditional construction, log, SIP, cast concrete and experimented with ultra low cost CONEX shipping container construction at the amphitheater, for storage, for workshops and finally, for guest houses. The learning from all of this and expertise from highly skilled people who have joined us over the years continues to raise the level of self-sufficiency and preparedness of the Village community. Land on Phase II is to be owned by an LLC with shareholders. 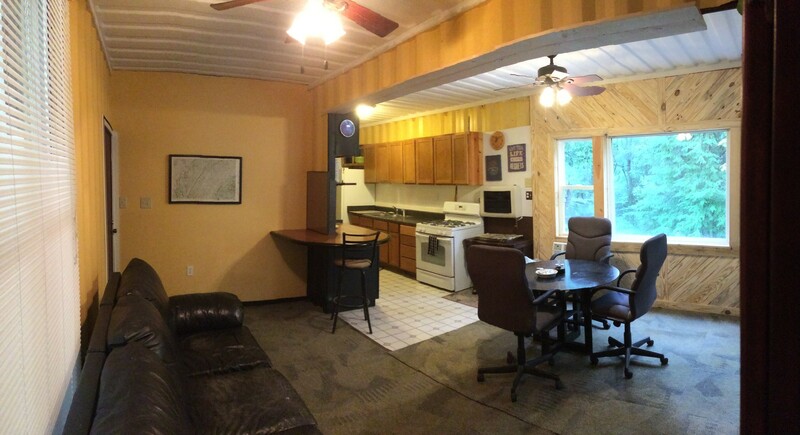 Through a shareholder’s agreement, co-owners allocate personal plots within the community. Lower taxes: Blocks of land over 16 acres can remain in “green belt” status, with close to zero tax rates. As there is one owner, it is not a “development”, hence no need for Government Planning to interfere. Lower development costs for roads, and other infrastructure. Full membership in the established Village on Phase 1 with access to commons, hiking trails, community gardens, and other infrastructure. Enhanced sense of community, but still not a commune. Purchase size would be from 50 to 100 acres. So, hypothetically, 50 acres, shared equally in 5 acre lots = 10 owners (could be more owners and lower total cost with smaller lots). Out of that, each contributes an acre for a highly functional 10-acre commons. This is all usable plateau top land. Cost per household would be in the neighborhood of $20,000 plus the shared legal cost of setting up the LLC. 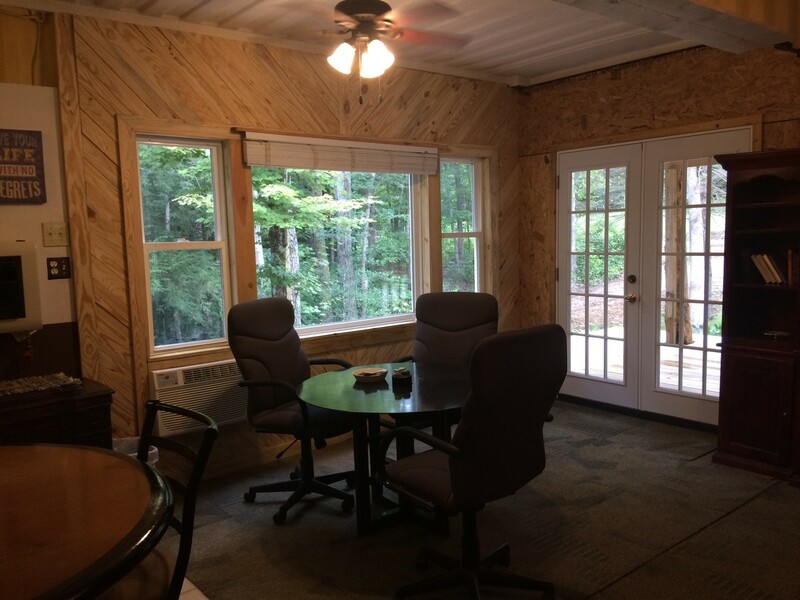 Add a low cost home, like the guest house from Shipping Containers I built for under $10,000 to, say, a 2-acre piece of Phase II and you could have a great life in a gorgeous, sustainable community for about $18,000. I know there are a lot of you out there who desperately want to own land in the Village, but simply can’t afford it in this economy. And I can’t afford to sell Phase I land for much less and even cover my sunk development costs. But I have no development costs in Phase II other than the interest I have been paying on it for six years. If this sounds interesting, please let me know. We can start doing some serious planning and marketing if there is enough interest. Many of you who have visited the Village, if you were lucky, got to meet Joe. He’s a local who does a lot of work here. Joe is an expert with horses as well as an expert trader. A few days ago, knowing nothing about horses myself, Joe told me a little about his favorite, the quarter horse. The Quarter horse is a powerful, sensitive breed. They respond only to the lightest touch on the reigns, but are among the most brilliant, agile performers. 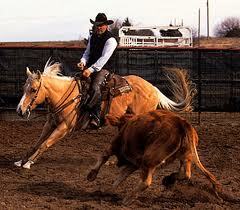 They are the breed used in rodeos, barrel racing, cattle roping, all activities that need precision and power. Joe buys and sells lots of junk horses. Most cycle through rapidly. He has one that just keeps coming back. With each trade, Joe makes a little money. Ironically, this one is his favorite. It’s a keeper and it’s a quarter horse. He sells it and then re-buys it for a lower price when the new owner discovers that it is un-ridable. That’s because people who are used to less sensitive and responsive animals tend to horse them around – meaning that they use gross, rough jerks on the reigns and gouge with their feet. 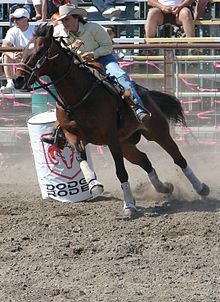 Quarter horses respond to rough treatment with an equally rough ride. It takes me a while to process information like that. This morning I awoke with a lovely thought. Good people are a lot like a good quarter horse. They are bright, sensitive, hard-working, responsive to a light touch, but may buck under a rough hand. Because I sometimes view myself as ineffective, an unskilled horseman, I often feel that people don’t understand what I’m saying or respond as I would like. When I feel that way, the tendency is to be less sensitive myself, to tug on the reigns too hard or dig in with the spurs. Almost inevitably, that brings on a rough ride. That thought reminded me of Christ, quietly writing in the dirt. A gentle suggestion, “let he who is without sin cast the first stone”. The accusers who were ready to stone the adulterous woman melt away. He turns to the woman and gently asks, “where are your accusers?” Then, I can imagine he said lovingly, almost in a whisper, “I don’t condemn you either. Go your way and sin no more”. Good people are like a good quarter horse and the adulterous woman. Imperfect, sinful, like everyone else, but humble and sensitive, ready to respond to a gentle touch with power and grace. It’s a lesson I struggle with over and over. 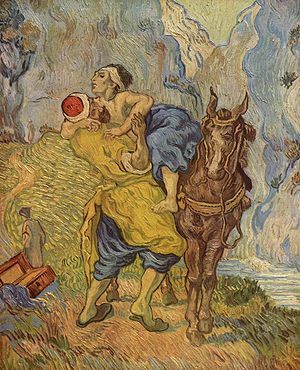 Today, I will try to remember Joe’s parable of the quarter horse and live with a lighter touch. I am so thankful that I live with a constant, perfect example of the gentle touch, my dear wife, Becky. My son is a wise goose! “In the Spring, when you see geese heading North for the Summer or South in the Fall, flying along in “V” formation, it’s interesting to know what scientists have discovered about why they fly that way. It has been learned that as each bird flaps its wings, it creates an uplift for the bird immediately following. Basic Truth #1– People who share a common direction and sense of community can get where they are going quicker and easier because they are traveling on the thrust of one another. 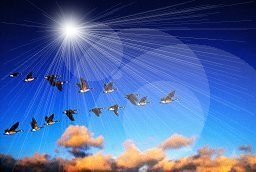 Basic Truth #2– If we have as much sense as a goose, we will stay in formation with those who are heading in the same direction as we are. Basic Truth #3– It pays to take turns doing hard jobs, with people or with flying geese. Basic Truth #4– We need to be careful what we say when we honk from behind. We want to build a community of wise geese, here at the Village on Sewanee Creek. Are you a wise goose? If you think so, we’re recruiting!